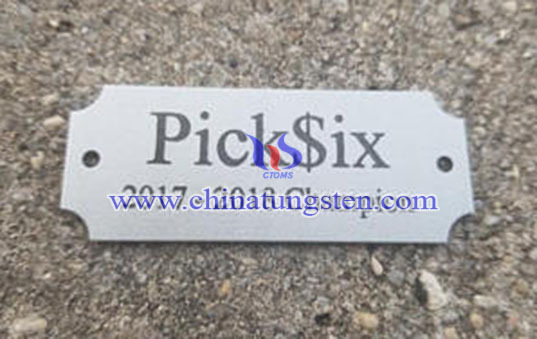 Engraved equipment tungsten tag is ideal for identifying tools, machinery, equipment and specific areas in your facilities or on various jobsites. What can be engraved on tags? We can engrave tags with a variety of type styles, simple logos and graphics to varying depth and text requirements. 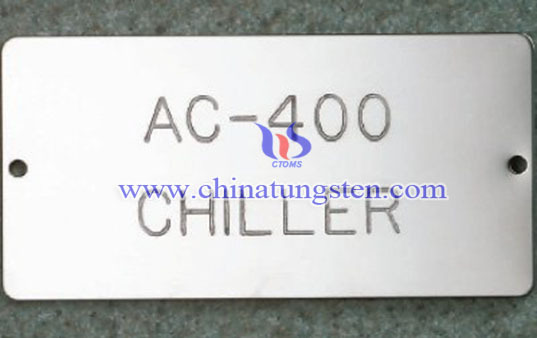 Using high-quality tungsten alloy material, the engraved equipment tungsten tag is great for harsh environments when you need identification for equipment that needs to withstand the elements. When your specifications call for corrosion resistant, general handling, extreme weather and extreme temperatures, the material will meet the demand. 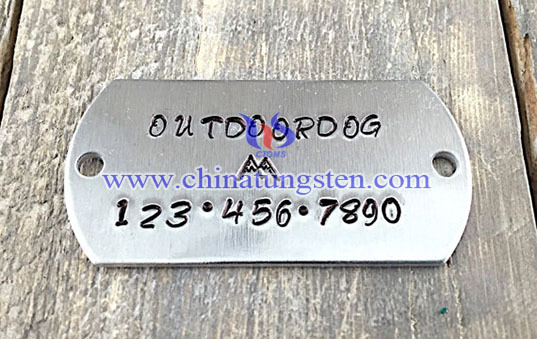 If you have any interest in engraved equipment tungsten tag, please feel free to contact us by email: sales@chinatungsten.com sales@xiamentungsten.com or by telephone:0086 592 5129696.